That is the home page of the group with which I have been working for six years to create quilts for wounded American soldiers. 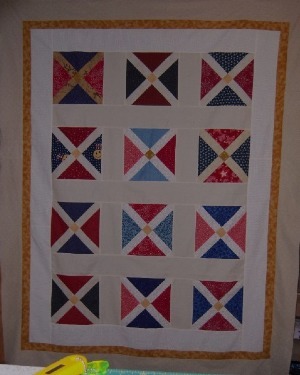 There are no quilts for 2010. My husband died in March, 2010. For several months before that, I hadn't worked on any, and until October, I didn't work on any. Now I'm back in gear, and the next page shows three I finished in January and February of 2011. All three were worked on during the end of 2010, but the first one goes as far back as the summer of 2009. 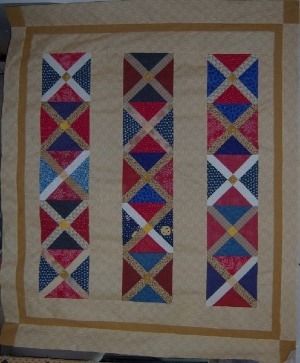 Blocks from Quilt Chicks . . .